I hope you are all enjoying your 4th of July weekend. Last night I got together with a bunch of my friends and we made an Independence Day craft. While it's not necessarily a paper craft, I thought it was too cute and easy not to share with all of you. Though this one is red white and blue, I can think of so many other color combinations to make that would make them super cute, such as if you did yellow and orange and put the orange on the outside and yellow on the inside you would have a sunshine effect, that you could use all summer. Or you could paint them different shades of blue and or even white and put some Ranger stickles glue on them like snowflakes (Ranger is made by Tim Holtz), you would have a fun winter wreath. Wreaths make for great holiday home decor. So to get started we used boxes and cut the flaps off and just fit all the paper clips around the edges. This way when you spay paint them you can easily get all of the sides. I would make sure you have a different box for each color. 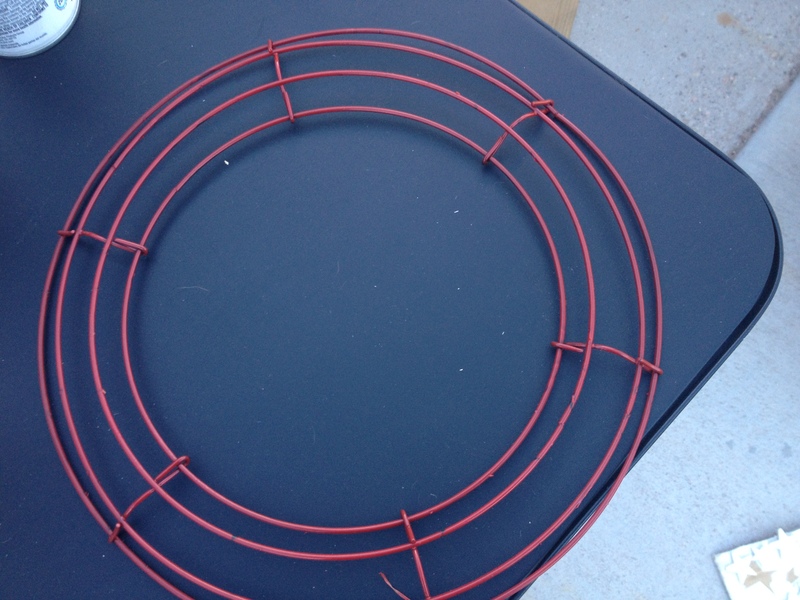 And you will want to make sure you paint the wreath as well. We did ours red, but you could do what ever color you wanted, just make sure the original color is obscured. Then you simply alternate until you go all the way around the wreath. 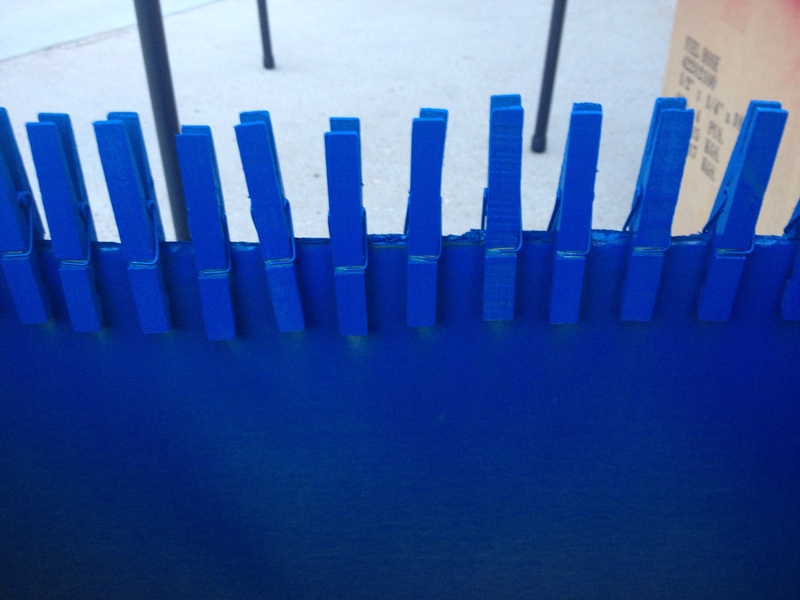 We did 10 blue ones all in a bunch and then alternated 5 red and 5 white until we went all the way around the wire. Did you make some fun Independence Day crafts? Share them on the Paper Crafting Fanatics page, or leave me a link to your blog here so I can see what you have made. I hope you have a great 4th with your family and friends I'm off to enjoy the parade and my family. 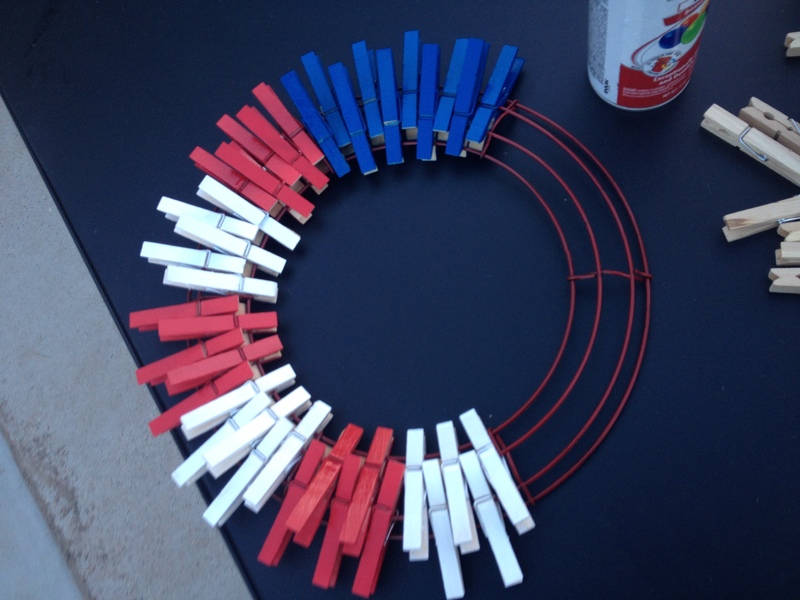 Hopefully you enjoyed my clothes pin wreath for 4th of July. Be sure to stock up on craft tools, that will surely make your project go better.